One of the most challenging topics for those transitioning from the PLC to working with PACs is the replacement of memory addresses with "Tags". 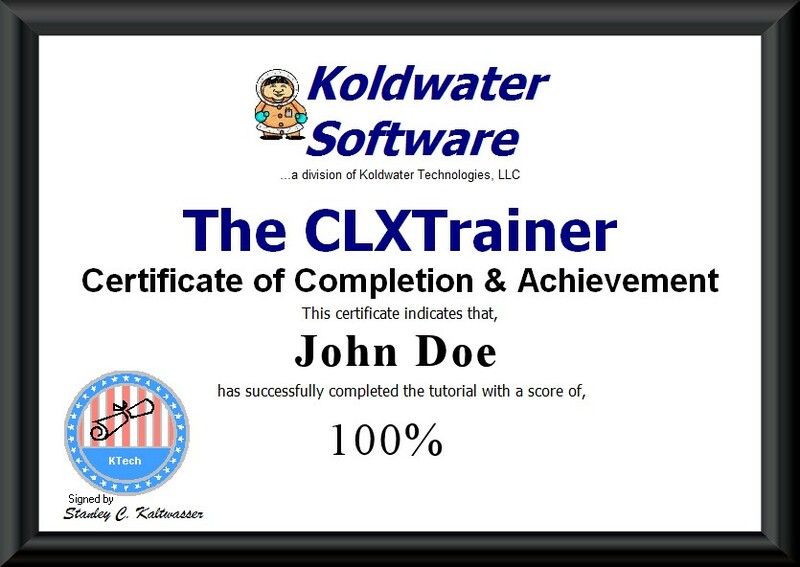 So we cover this with interactive step by step simulated exercises including creating a new tag with the RSLogix 5000 simulation. 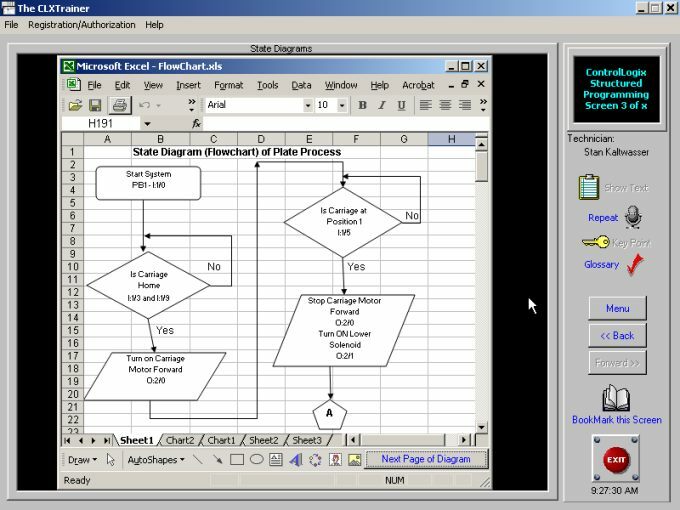 For most applications of Rockwell's PACs (ControlLogix, CompactLogix and FlexLogix) out in the real world, the machine designers use ladder logic as the programming language of choice. 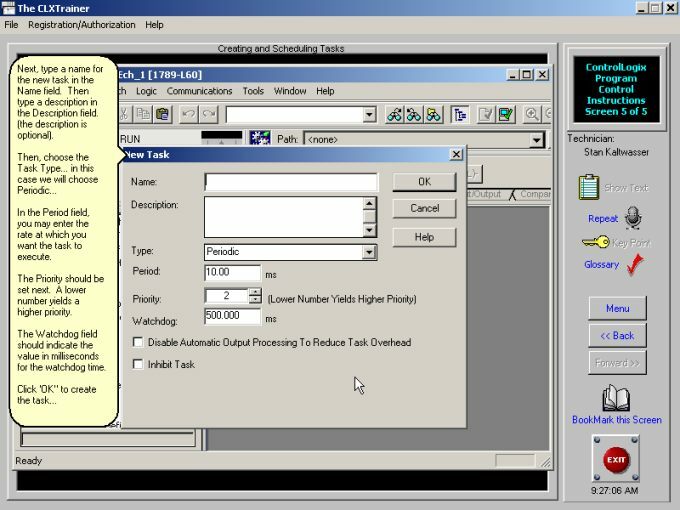 So understanding RSLogix 5000 tags help you overcome the majority of the PLC to PAC learning curve. 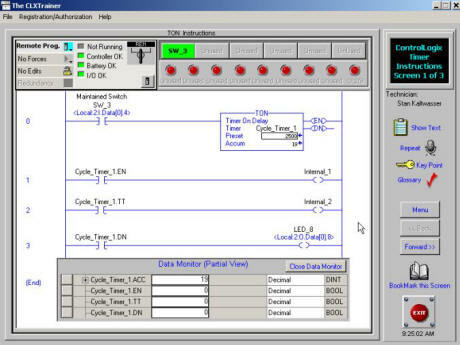 Another important topic to be aware of with PACs like Controllogix is "Task", and how they can interrupt an emulated subroutine of ladder logic in the middle of the 'scan' to perform a different timed or conditional task. When you get to these industrial computer (PAC) specific topics, you will want to use over and over again so the concepts new to you are fully understood and remembered. 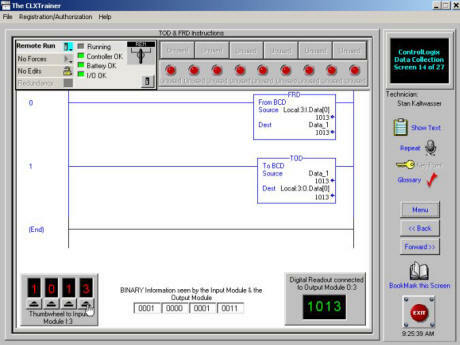 This screenshot from the RSLogix 5000 training software how a FRD instruction works when ladder logic is one of five available programming languages being used. It shows the subtle differences while making for a great refresher to your previous PLC training. As seen in this screen shot, the RSLogix 5000 simulator has great additional tools for you to better simulate the real world. 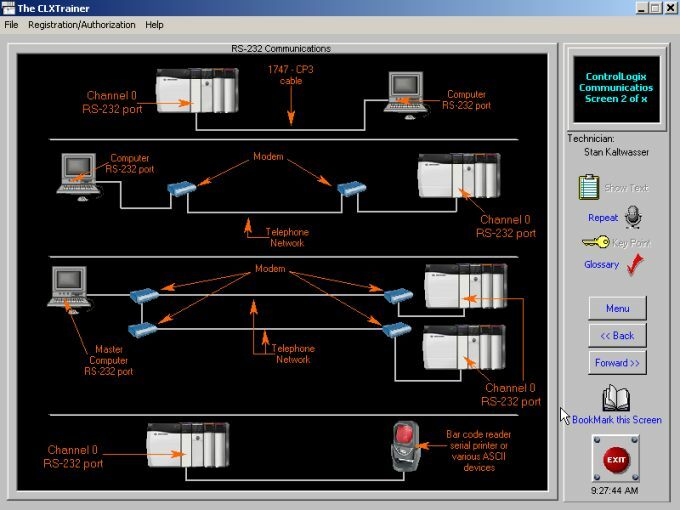 Of course this Controllogix training also covers hardware and communication topics like RS232 configuration. 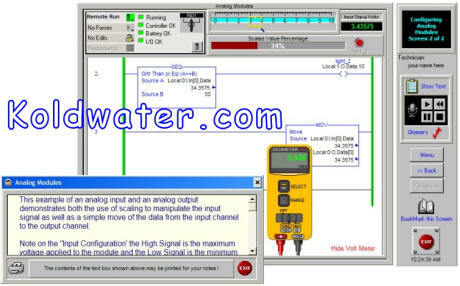 In this course you will be introduced to the other programming languages besides ladder logic, like the Function Block programming language. 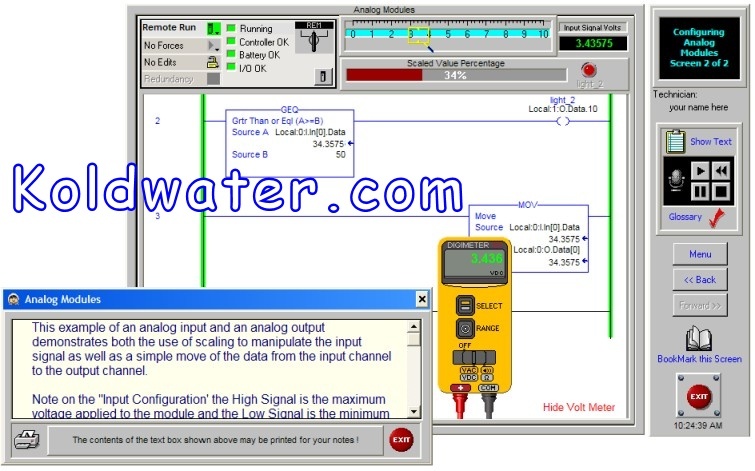 Using the RSLogix 5000 simulator, you can watch how it works in real time. 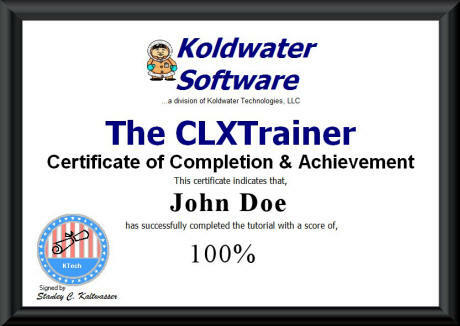 Try our free online RSLogix 5000 training (CLXTrainer) demo. Google Chrome browser blocks Java, so use another browser for free online RSLogix 5000 training demo. 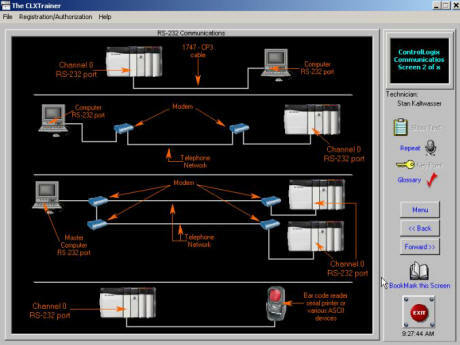 Just like our PLC training software covered analog, so does this RSLogix 5000 training simulation software. 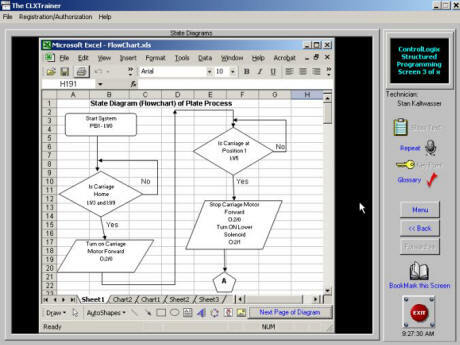 The screen shot shows an example. 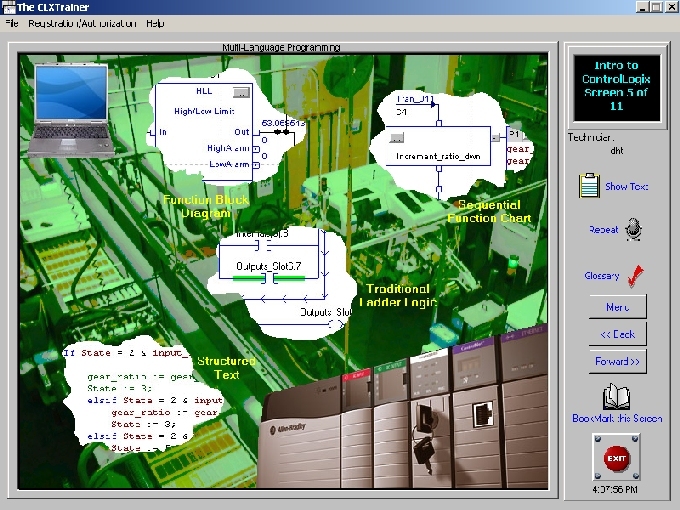 With a PAC, the analog scaling is done in I/O module configuration instead of using instructions in the ladder logic of computer programming code.